The Decker Rat Terrier Book has over 80 color pictures. 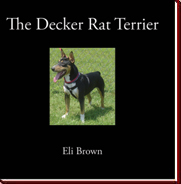 It includes the history, standard, hunting, and future of the Decker Rat Terrier. Written by Eli Brown of Bluegrass Rat Terriers.